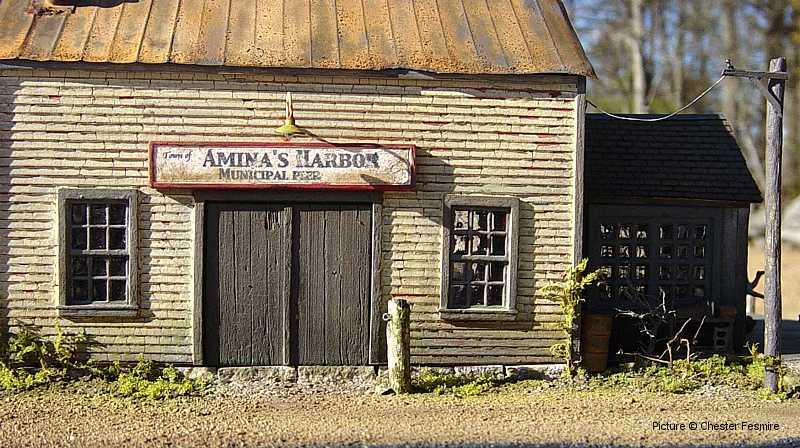 Chester Fesmire sent us some detail pictures of 'Amina's Harbor', a waterfront diorama he recently built. 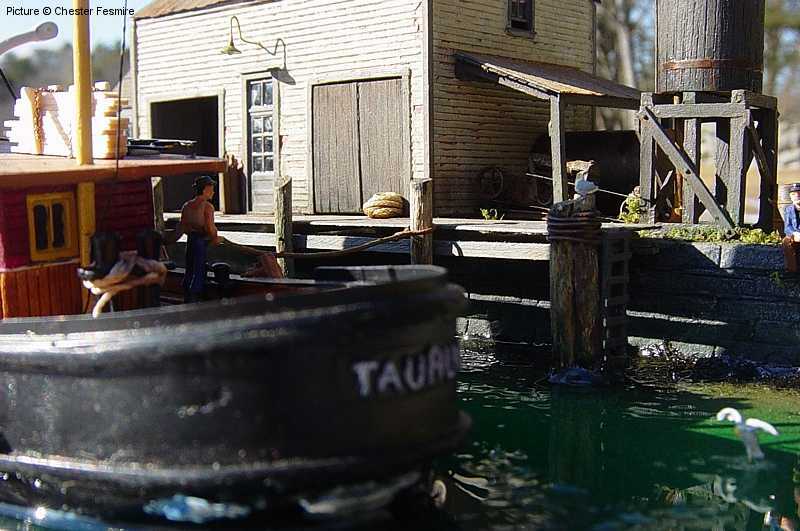 With the exception of the vehicles, vessel and figures this is basically built from scratch. 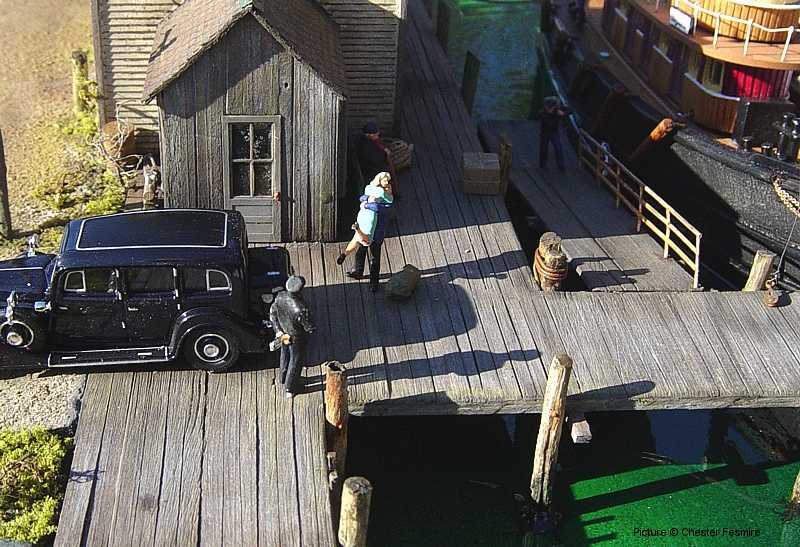 The building is all styrene with a brass roof, the wharf itself is all wood. 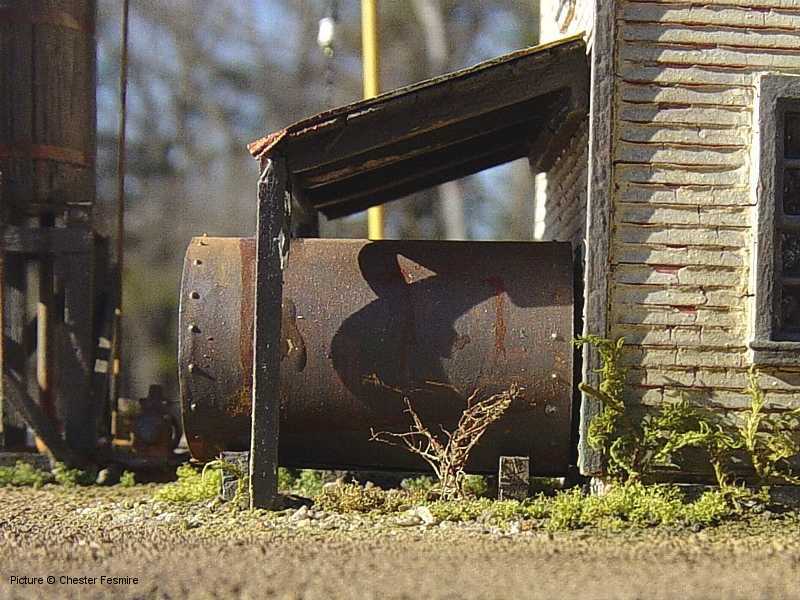 If you'd like to see more pictures of this diorama please click here.